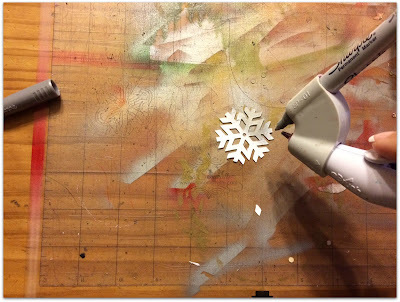 Using the Silhouette Cameo, cut pieces from Kraft and White card stock. 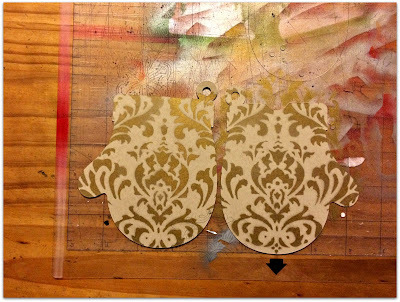 Place mitten cut pieces onto the Silhouette sheet so they don't move. 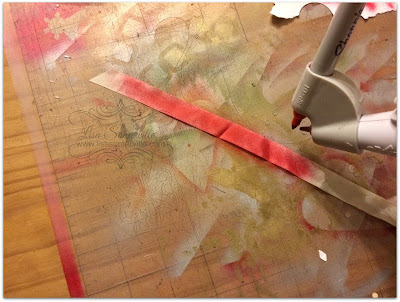 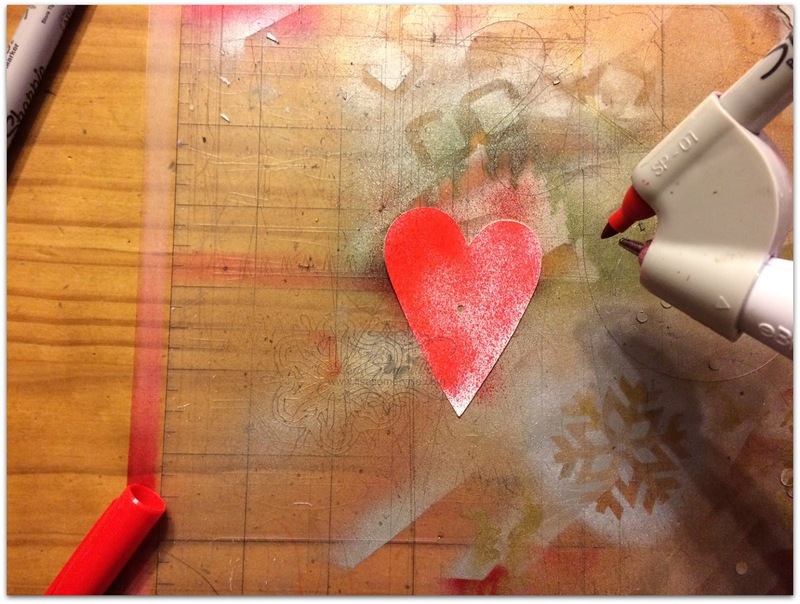 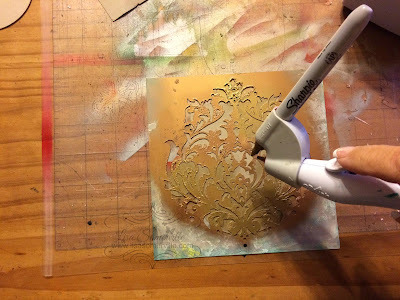 Place Brocade stencil over card stock, use the eBrush and Sharpie Marker (Gold) to add color over the stencil. 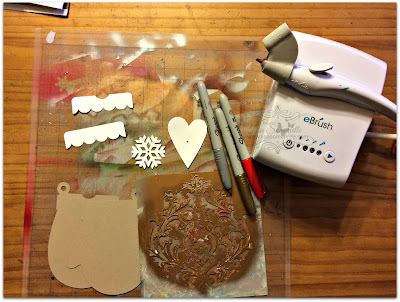 Remove stencil and repeat with other mitten. 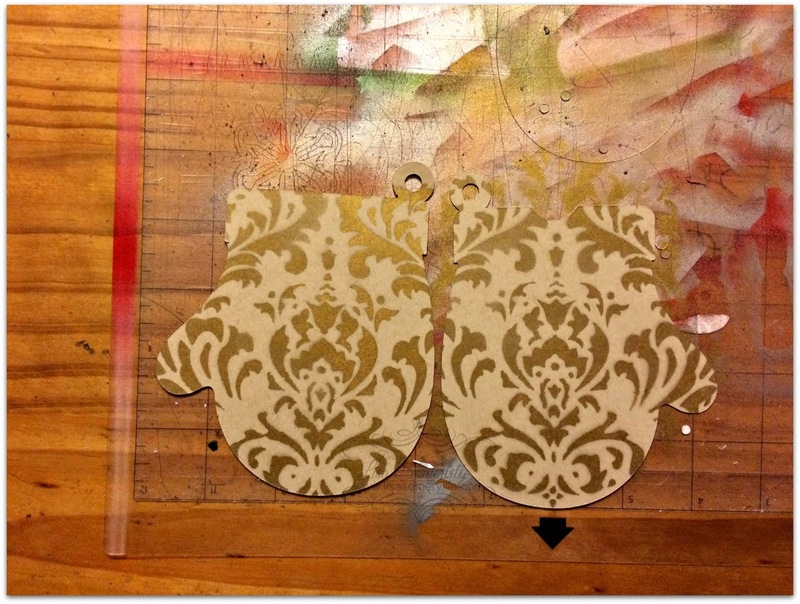 If desired add Gold Stenciling to the White Cuff of the mittens, and add Gold to the edges of the mittens for a distressed/worn look. 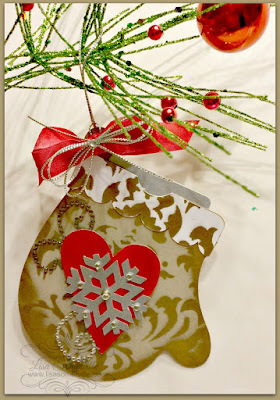 Cute, Cute, Cute and adorable!